Everyone loves Playing Indoor Games in their Free time and Chess is one of the most popular Indoor Game. You don’t have to get a Physical Chess Board Set to Play the Game as there are many Android Apps for that. So, today I am going to Share Top 13 Best Chess Games For Android – 2019. 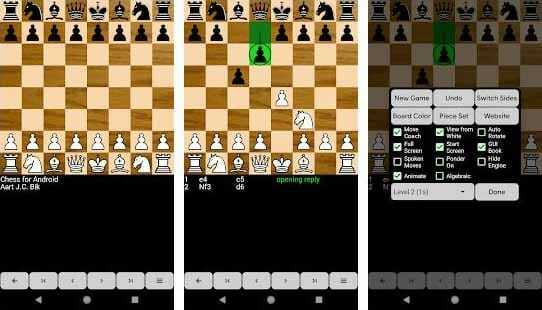 In Earlier days, you have to get a Chess Board Set to Play the Game but thanks to the Android Apps which made this easier and now we can Play Chess Games Online from our Smartphone. The Best part about these Android Games is, you don’t need to have the opponent, you can even Play with Computers or you can also Play Multiplayer with the Players from worldwide. Also, if you want to Learn Chess, there are many Chess Learning App where you can Learn & Practice with Bots. Apart from this, there are Money Earning Games as well that you can check out or check the complete list of 30+ Money Earning Apps. There are many Best Chess Games For Android but selecting the perfect out of them is quite difficult. So, here I’ve shared the Top and Best Chess Gaming App for Android. 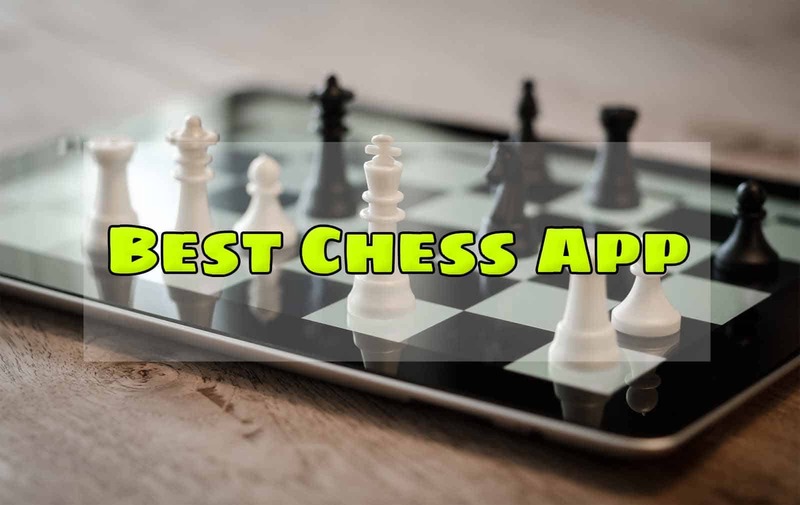 So, today I am going to Share Top 13 Best Chess Games For Android – 2019. 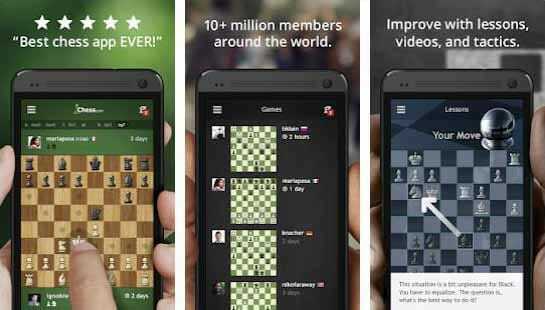 Chess Free is one of the Best Free Chess Game App for Android Phones. The Game is quite popular and highly rated on Google Play Store and used by millions of people. The Game comes with 12 Level difficulty and you can select between Casual and Pro Mode. You can also deep analyse your move in the Chess Gaming App. Additionally, it has “Show CPU Thinking” Option in level 3+ that allows a user to see what the Computer AI is considering. The Game also has 8 different Chess Board Theme for a better experience. Another Best and highly rated Chess Game in the list is Chess Tactics Pro. 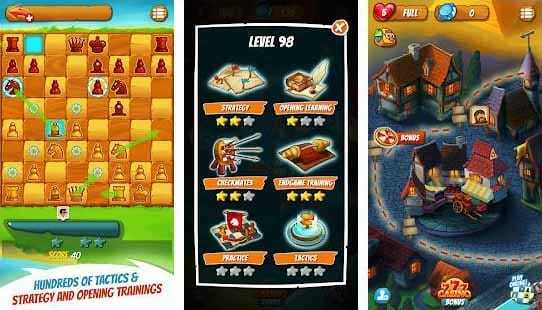 It is one of the Best Puzzle Game or say Chess Game that comes with many features. The Game has 3 different modes where you can Solve Daily Puzzles, Solve Offline Puzzles or use the Progress Mode to get random problems from your level. This Game is for both beginners as well as for Advanced Players. You can do a lot more things in this Chess Game like Check Score History in Graph, Select from different Board Themes, Level History, Bookmark Puzzle, etc. As the name suggests, it is a 3D Chess Game for Android. The Game looks very awesome and will give you a realistic feel while playing the game. This is not only 3D Game but also 2D Game as well. You can convert 3D to 2D anytime you want. The Best part about this 3D Chess Game is, you can set any viewing angle you want. Talking about playing the game, you can either play with your friends or with AI Machine. The AI has 6 different levels that you can select according to your difficulty. This is another Best Chess Game for Android in the list. 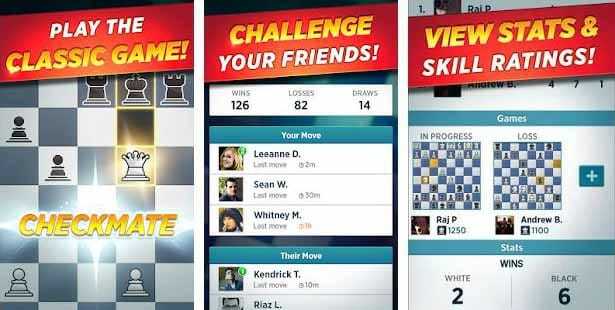 Chess With Friends is another Best Free Chess Game for Android. 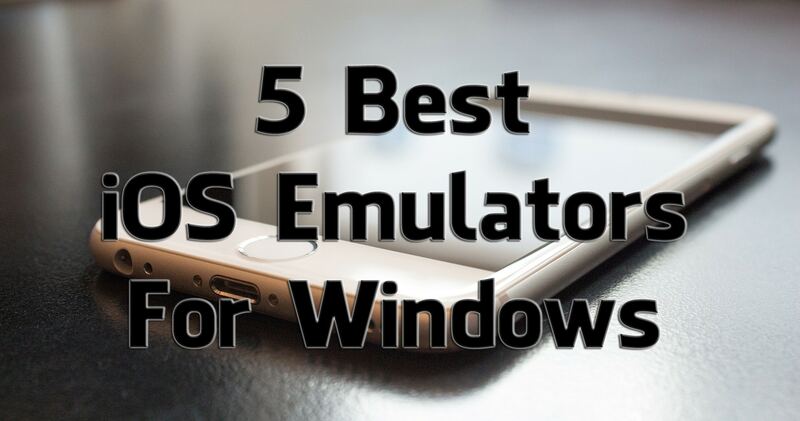 This is another popular and highly rated App on Google Play Store. This is basically a Multiplayer Chess Game where you can challenge your friends. You can connect your Facebook Account to the Game and challenge your friends. In this Game, you can track all your movies and opponents moves. You can also View Stats, Skill Ratings and Track Opponents Game History in this App. Overall, this is one of the Best Classic Chess Game for Android. Another highly popular Chess Game in the list is Chess Live. As the name says, this is a Live Chess Game where you can connect and play online with your friends. In this game, you can Play Chess Online against Computer or with your friends. The Game also has Multiplayer Option where you can connect with other players from the world. Moreover, the game has many other features including 5 different levels, Undo/Redo option, Configurable player name, etc. Overall, this is another Best Live Chess Game Under 5MB of Size. Real Chess 3D FREE is another Best 3D Chess Game for Android in the list. The game is quite popular and highly rated on Google Play Store with the Rating of 4.5. The Game comes with a 3D Graphics which looks completely realistic. If you play this game on a Tablet, you’ll really enjoy it and it will feel like you are playing on a physical Chess Board. Furthermore, the game comes with other features as well including 4 difficulty levels, Board Customization, Background Music, Realistic 3D Graphics, etc. Overall, this is another Best Chess Game for Android in the list. 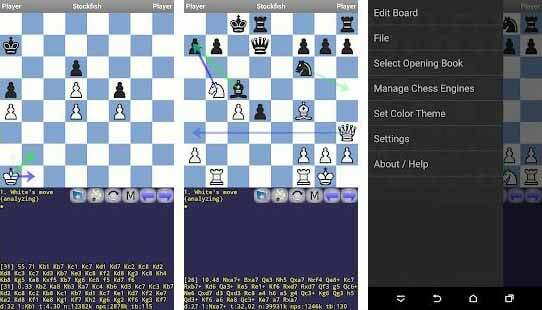 DroidFish is a port of the strong Stockfish chess engine with a feature-rich GUI. The Game is simple and easy to play and comes with tons of features in it. The Game has one player as well as two player mode. It comes with adjustable playing strength and one-touch move feature. Moreover, the game features include Analyze Mode, Clocks, Color Themes, Animate Moves, Highly Configurable, Third Party UCI Engines, Two Player Mode, Different Board, Configurable UCI Engine Options, Adjustable Playing Strength, One Touch Move and much more. Another Best Online Chess Game for Android is Real Chess. It is a 3D Chess Game which is quite popular and highly rated on Google Play Store with the Rating of 4.4. In this Game, you can Play in 3D as well as in 2D. You can change viewing angle anytime in 3D View. The Game can be played either with your friends or with AI. Talking about the game features, the AI of this Game comes with 2400 difficulty levels, Changeable Board Theme, Landscape & Portrait Screen Support, Advanced 3D Graphics, 3D & 2D Support, Chat while Playing with Opponents, etc. 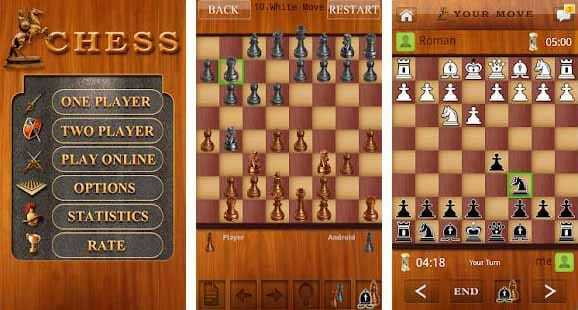 Chess for Android is one of the Best and Smallest MB Chess Game which consists of a chess engine and a GUI. The Game is quite famous due to its size. This is a Basic 2D Game that comes under 1MB of size. Like other Chess Game, here you can Play with your friends or with AI Bot in many different levels. The game has many other settings like Switch Slides, Change Board Color, Undo Feature, Level Selection, Full Screen, Auto Rotate, etc. Overall this is one of the Best Low MB Game under 1MB of size. 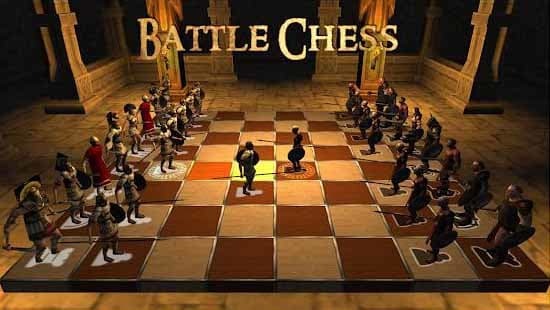 If you are looking for a Chess Game like a Battle, then Battle Chess 3D Game is for you. It is a 3D Humanoid Chess Game that comes with realistic 3D Graphics. The Game currently has 5 different amazing 3D humanoid chess set including Barbarian, Skeleton, Spartan, Dwarf & Orcs. The Game has Single Player Mode as well as Two Player Mode to play with AI or with friends. This Chess Game is completely different from others. Here, you can select your players and play online or offline with your friends. It comes with amazing 3D Realistic Graphics to Play Online. Chess · Play & Learn is one of the Best Chess Game for Beginners and Professional. The Game is quite popular and is used by millions of people. If you are a beginner, you can improve your gaming skills with their lessons, tactics and videos. The game can be played anytime, anywhere and you can also select from different Themes to make the board look more attractive. This is one of the Best Two Player game and single player game where you can Play with AI Bot and adjust the Computer Strength. Additionally, you can make friends and chat with them in this Chess App. 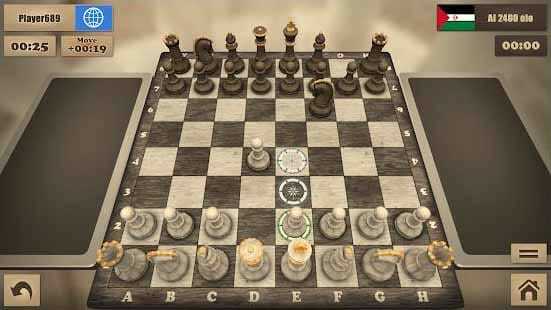 Another Best Chess 3D Game to Play Chess Online with Computers is Chess Free. The Game is completely different from other Chess Game and the Graphics looks like a Real Chess Game instead of Realistic. The Game comes in 2D as well as 3D Graphics, still, you won’t get Realistic feel due to its Graphics. This Game is Best for Playing in Free Time as it comes with 100+ Levels. The Game has many different levels and modes like Strategy, Checkmates, Learning, Endgame Training, Practice, etc. This Game can also be played offline without internet connection. Overall, this is one of the Best Offline Chess Game for Android. 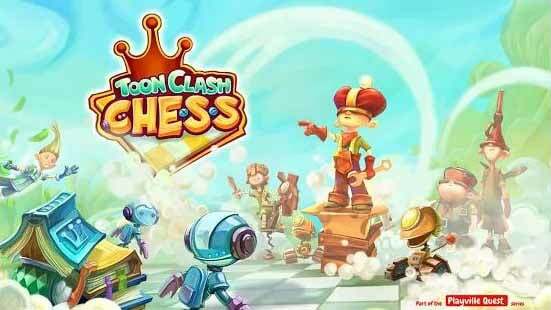 Тoon Clash Chess is one of the Best Chess Game for Kids. 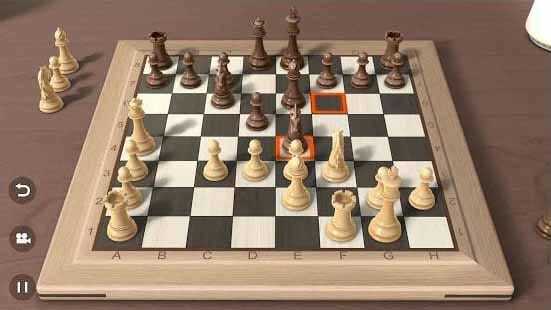 It is a 3D Cartoon Chess Game which is similar to the Game Battle Chess 3D. To Play the Game, you first have to select the Game Mode, Board, Players and then Finally, select the Single Player or Two Player. You can either play with your friends or with Computer Bot. The Game is fun to play due to the amazing world and graphics. There are many 3D Characters you can select from to Play the Game. Additionally, the game comes with other features like Auto Save, Undo, Classic 2D Mode, Hints and much more. 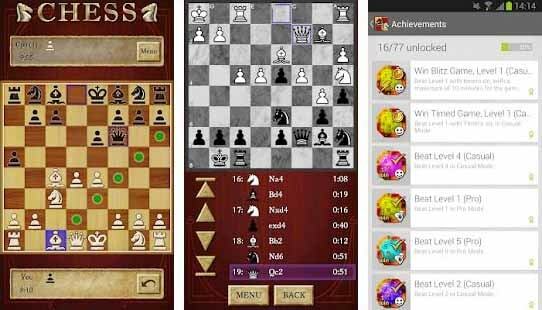 This was the Article On 13 Best Chess Games For Android – 2019. 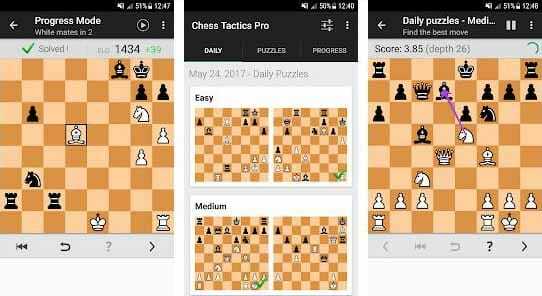 Apart from this, there are many other Best Android Chess Game but here I’ve shared the most popular, best and Top Chess Game App. You can download these Best Free Chess App & Start Playing the Chess Game Offline or Online with your Friends. If you love Playing Chess or want to Learn Playing Chess, I’ll recommend using these Apps as most of the App also comes with Learning Chess Feature. Basically, these Chess Game App is for both Beginners as well as Professional. 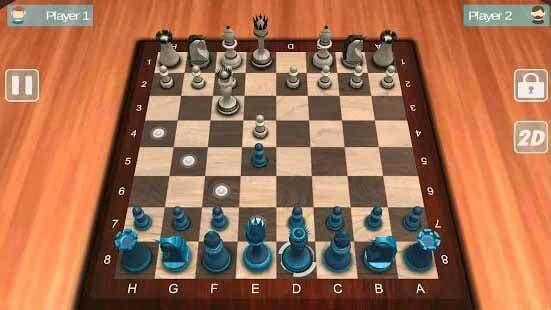 Apart from this, if you want to Play Chess Game On PC, there are many other Chess Game for PC you can try. Hope you liked this Article On Best Chess Games For Android. Do Comment below if you know any other Best 2D Chess Game or 3D Chess Game. Stay tuned with us for more latest Tricks & Updates.